Women love their Jewellery items. 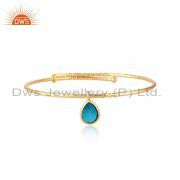 As much as they love their Grand Jewellery items they also love to collect simple Jewellery items which are mainly used for daily purposes. 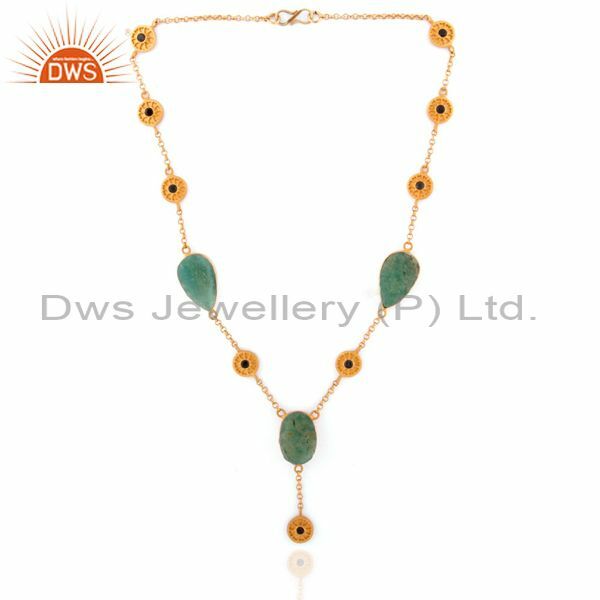 Simple single stranded jewellery with normal pendants made up of multiple designs are most commonly used by women all over the world. 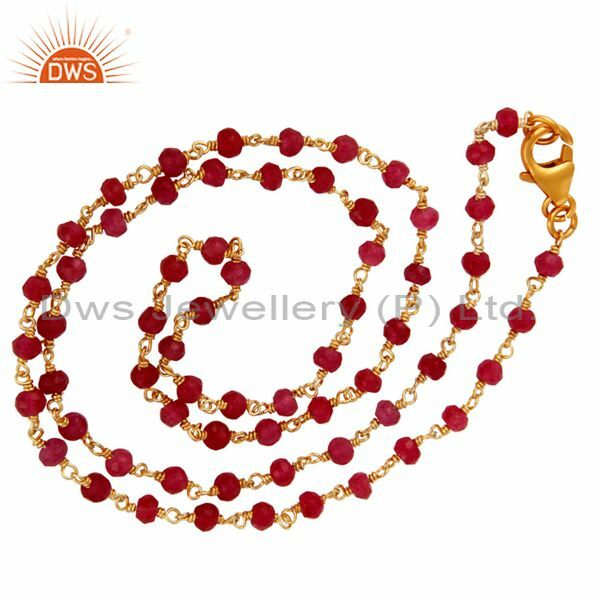 It would be impossible for a person to wear heavy Jewellery items every day and hence these simple Jewellery items are the best form of replacement and they also make sure to enhance the beauty of the person wearing it. With the recent development in the fashion jewellery department, even people who loved gold are now moving towards the side of fashion jewelry. The price of gold is increasing each and every single day. While certain upper-middle-class family people try to maintain their gold purchase it has become impossible for the middle class and other poor people. 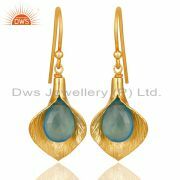 As a result, people have slowly started to shift their face towards fashion jewellery which is more beautiful and cheap. Also, when the celebrities started using fashion jewellery people started to consider them as the most valuable possession. The development of platinum jewellery also lowered the value of gold. But still, people prefer gold ornament when it comes to heavy jewellery. 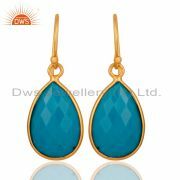 But for normal simple wear, they prefer these fashion pieces of jewellery as these small gold jewellery do not cost efficient. 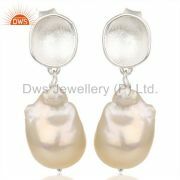 When resold they fetch only a small amount with wastage and other kinds of stuff. 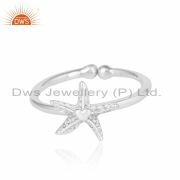 Also, small pieces of jewellery are worn every day and with their affordable price people can buy multiple small pieces of jewellery which can be suited for multiple dresses. This is not possible in gold due to its price and value. 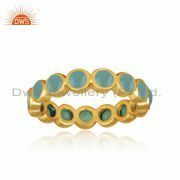 Also compared to gold these fashion jewellery have multiple numbers of designs And structure. 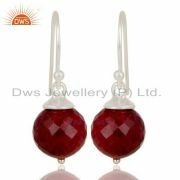 Due to its increased usage people have started producing various designs in fashion jewellery. 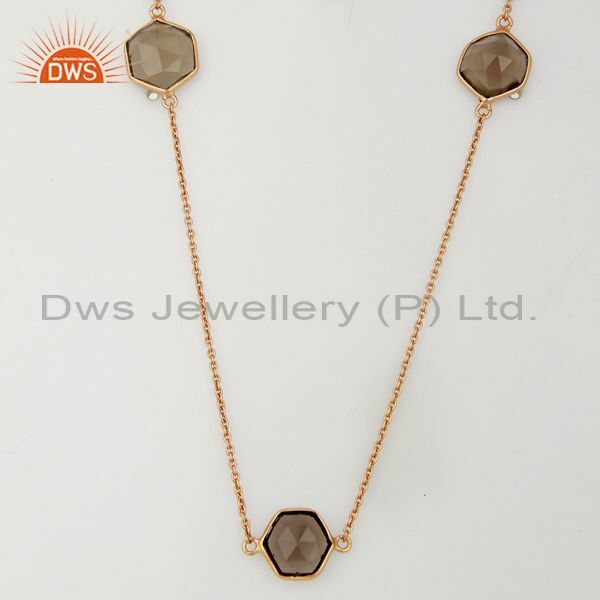 But unlike gold jewellery, there are only a few amounts of manufacturing units available for these fashion jewellery items especially in the field of handcrafted fashion jewellery items. 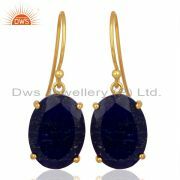 DWS jewellery is one of the leading fashion jewellery stores in the country with its own manufacturing unit. 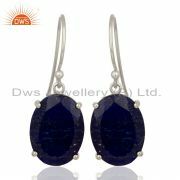 DWS jewellery is one of the leading single-strange pendant and Necklace jewellery manufacturers in the country. 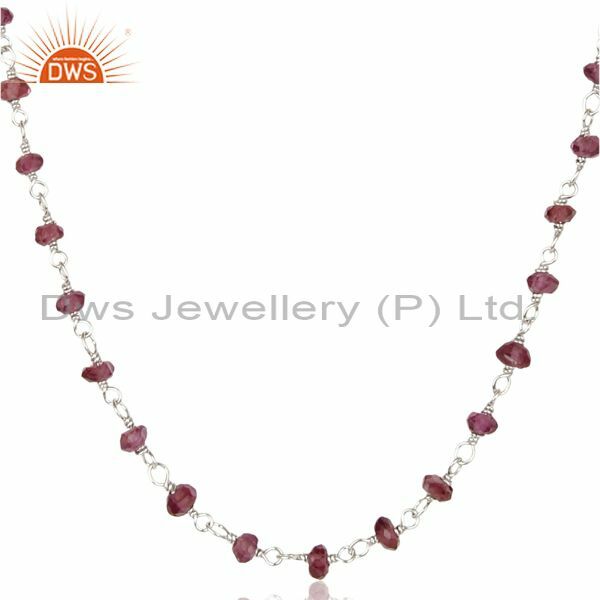 With the help of their manufacturing unit and highly efficient handcraft jewellery maker, they provide a wide range of collections that are being exhibited in their single-stranded pendant and necklace jewellery showroom. 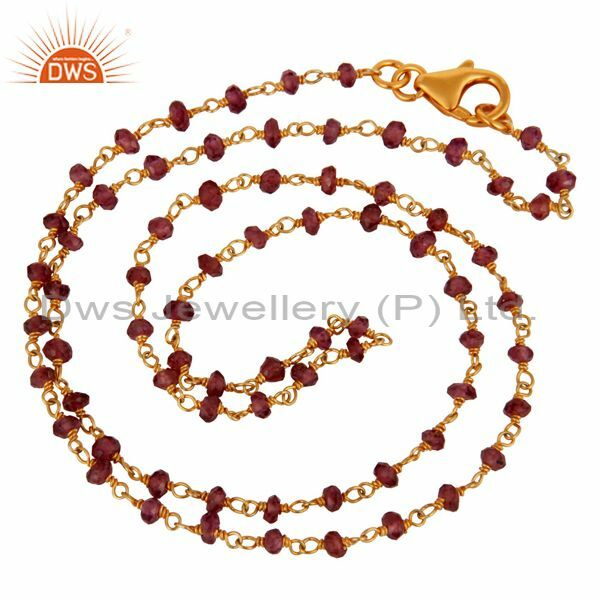 Along with our manufactured products we also provide customised Jewellery items for our customers by manufacturing them in our unit. Even though single stranded Jewellery items have become famous people still search for a new variety of fashion jewellery that would make them look more beautiful and provide a rich look. 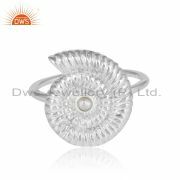 With the help of pave diamonds pendants are made which provide a perfect finishing and look grander than the normal Gold Jewellery items. 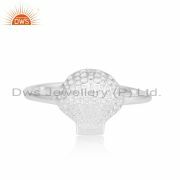 Pave Diamonds Are unstructured diamonds that are available in the form of a circle, square or rectangular. They are arranged together in clusters and due to their small size, they can be arranged efficiently in any type of design. 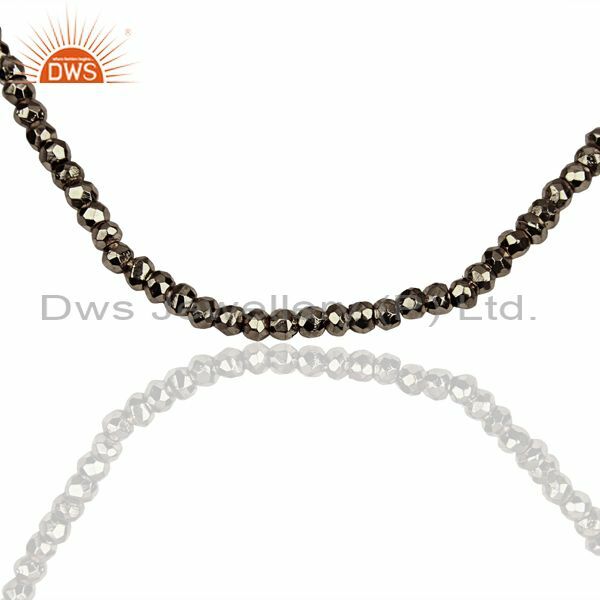 So most of the single-stranded chains are accompanied by these pendants made up of pave diamonds to provide a perfect rich look. 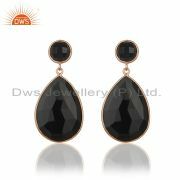 Sometimes these Diamond Jewellery items are accompanied by gemstones like black Onyx, Ruby and emerald embedded in them. 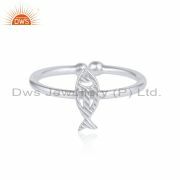 They provide a much more beautiful to look than these normal pave diamond pendants. 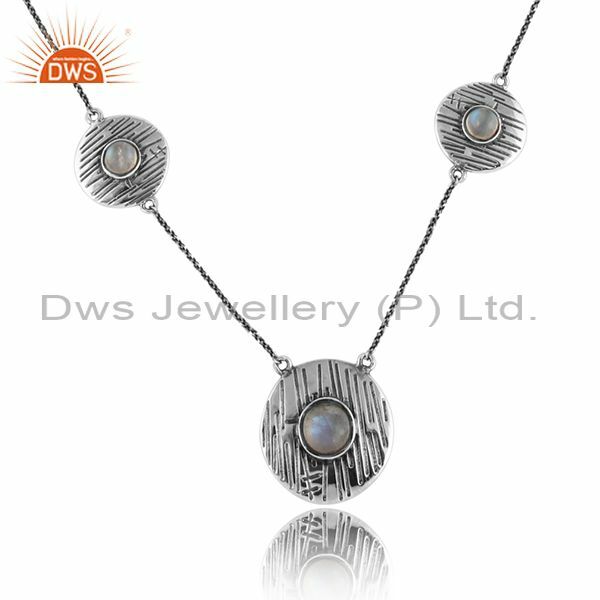 The single stranded pendant and necklace jewellery designers have come up with multiple innovative ideas to use Pearl and other types of materials to enhance the beauty of the pave Diamond pendants. Some times glasses are also used. 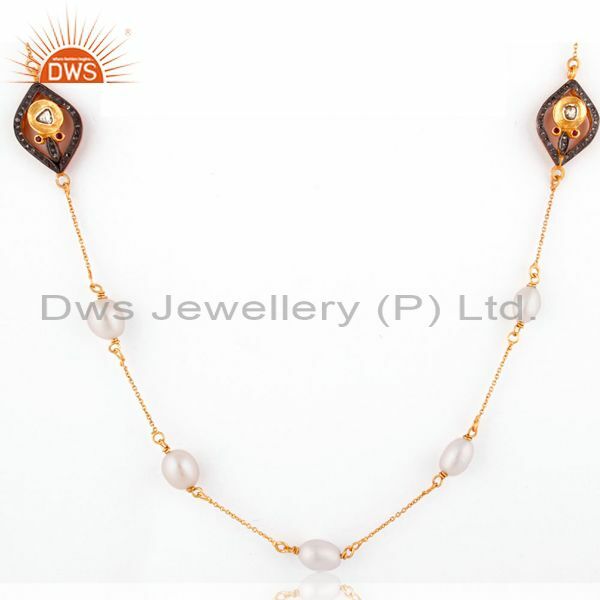 DWS jewellery is one of the leading single stranded pendant and necklace jewellery exporter in the country. We with the help of our unique team of designers who have been successful in providing designs for international customers. 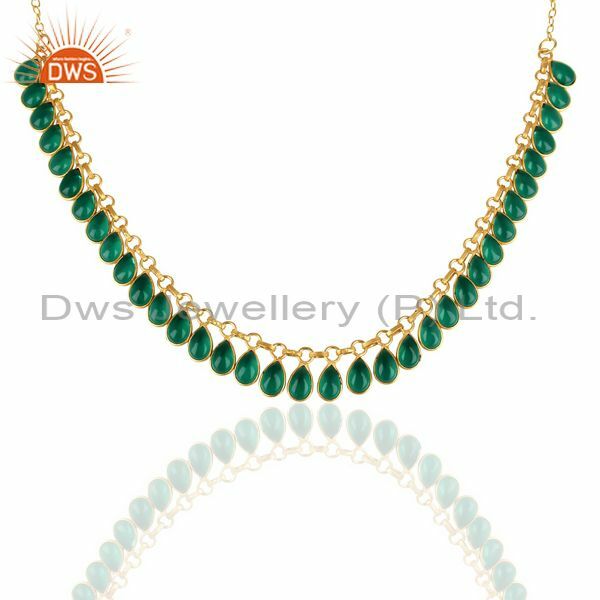 Most of these jewellery items are being manufactured in our specialised single stranded pendant and necklace jewellery factory. 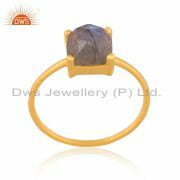 We have a pure range of pave Diamonds available in our collections. 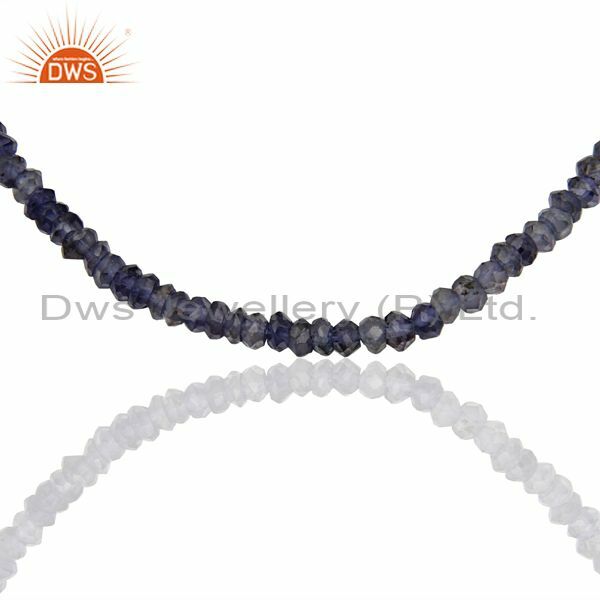 Located in the City that is well known for its beautiful gemstones we also produce and export a pure form of gemstones and pave diamonds to other countries. 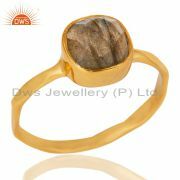 We provide hundred percent guarantee for the stones embedded in our Jewellery items. 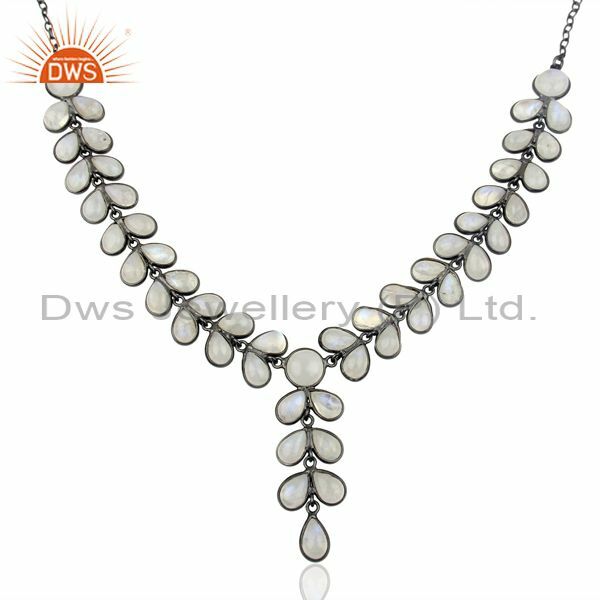 We are the leading wholesale single standard pendant and Necklace jewellery providers in the country. 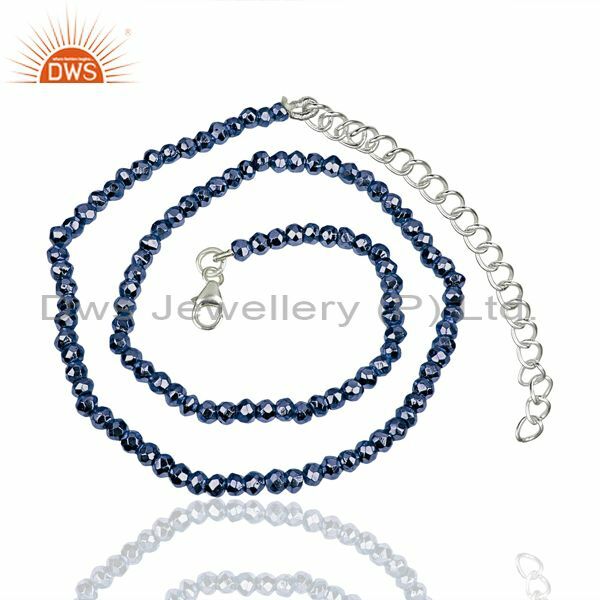 The name single stranded necklace might seem like a simple term but the designers have managed to bring a variety of designs into this single stranded Jewellery items. 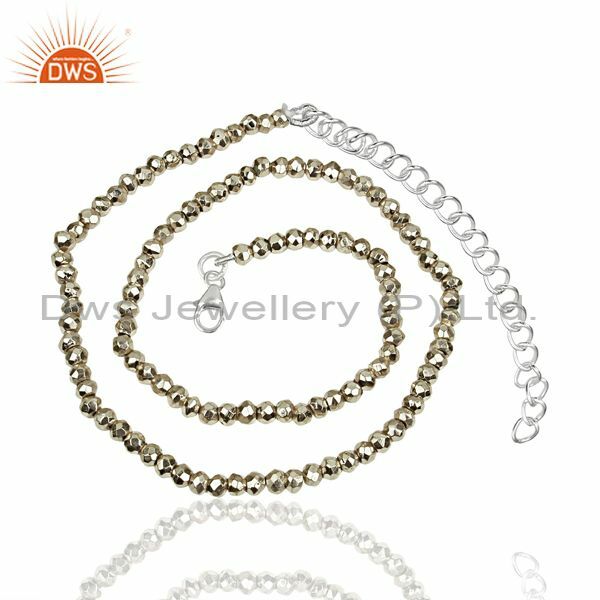 Most of the single stranded necklace is made up of sterling silver or brass and sometimes sterling silver is coated with 24 karat gold for providing a gold-like appearance. 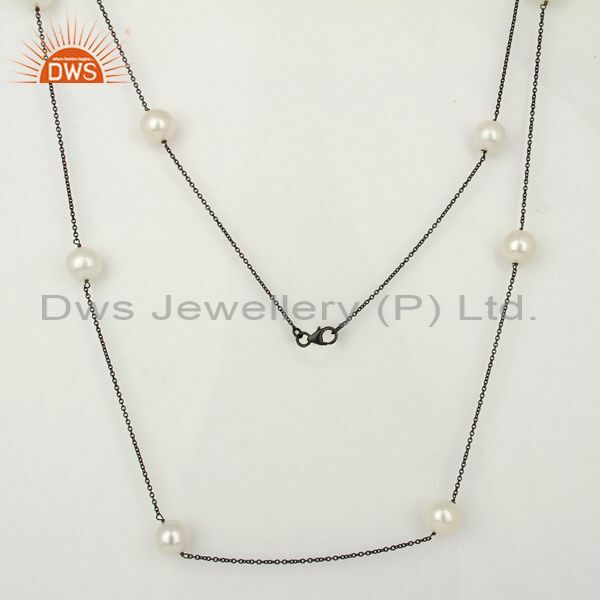 Most of these necklaces are made up of multiple designs with various innovative ideas. 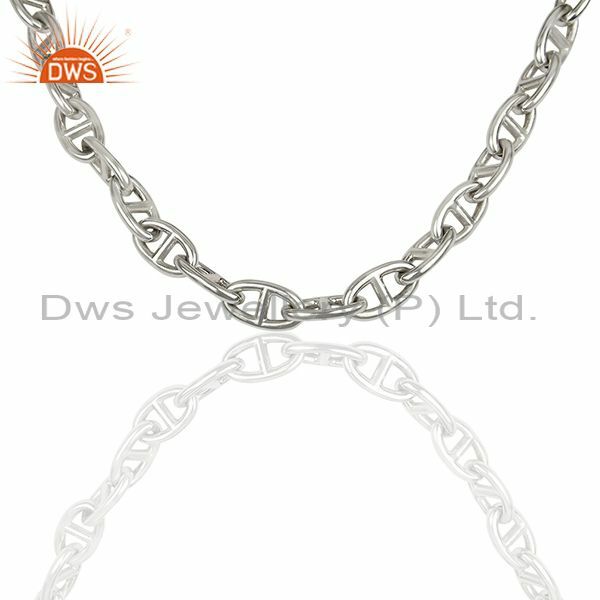 Initially, even though they are simple chains each and every single chain is different it with varying thickness and designs like providing a smooth finish, rough finish, finish with pointing edges, and other types of varying edges. The shape of these necklaces might also vary where they can be designed in a circular, rectangular, square or finishing with flat shapes. 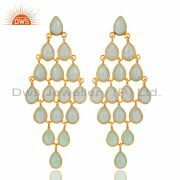 The designers have also come up with certain innovative latest technology ideas where a single standard chain is embedded with various gemstones or pearls in the middle. 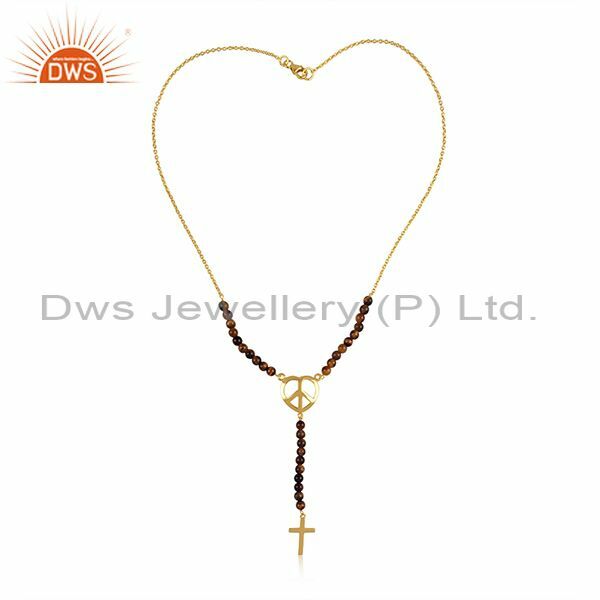 People prefer these type of jewellery items nowadays and these necklaces are both simple and beautiful at the same time. 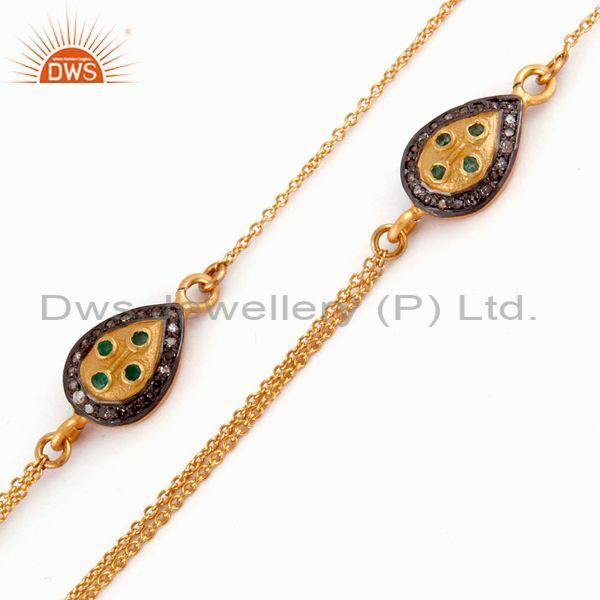 Sometimes they can also be worn as a single chain without any type of pendant especially the ones with pearls and gemstones embedded in them. 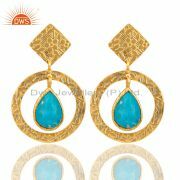 They provide a perfect look without the presence of pendant. 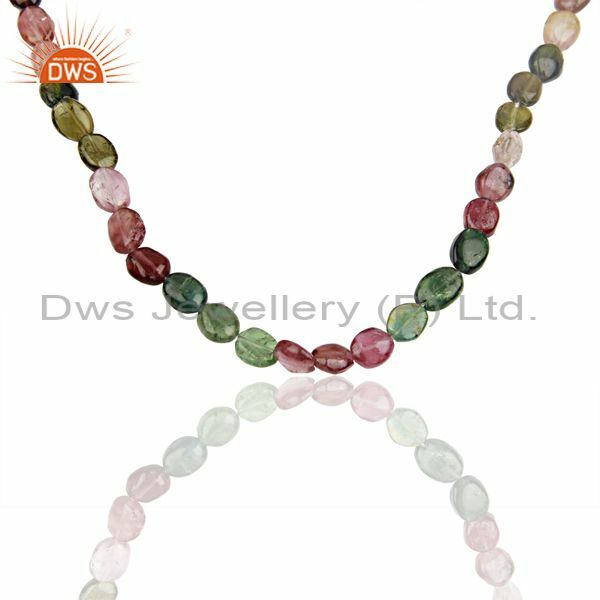 People can add suitable pendants for these necklaces to enhance their beauty. 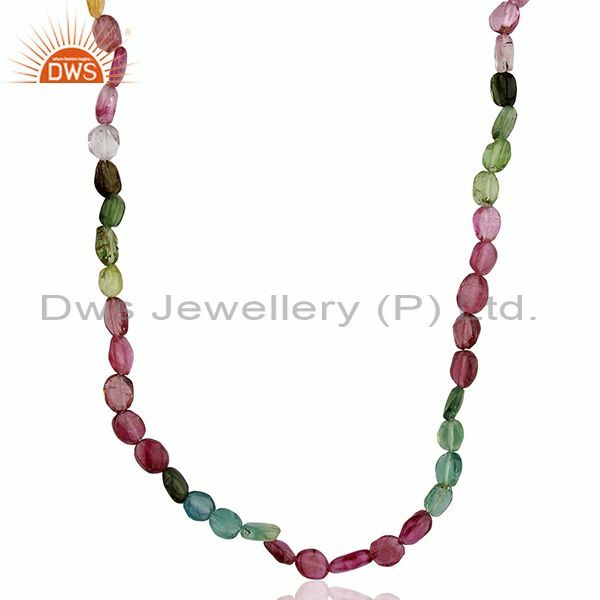 Most of these design necklaces go well along with large pendants with intricate handcraft works done on them. The temple jewellery pendants will be an excellent choice for these necklaces. 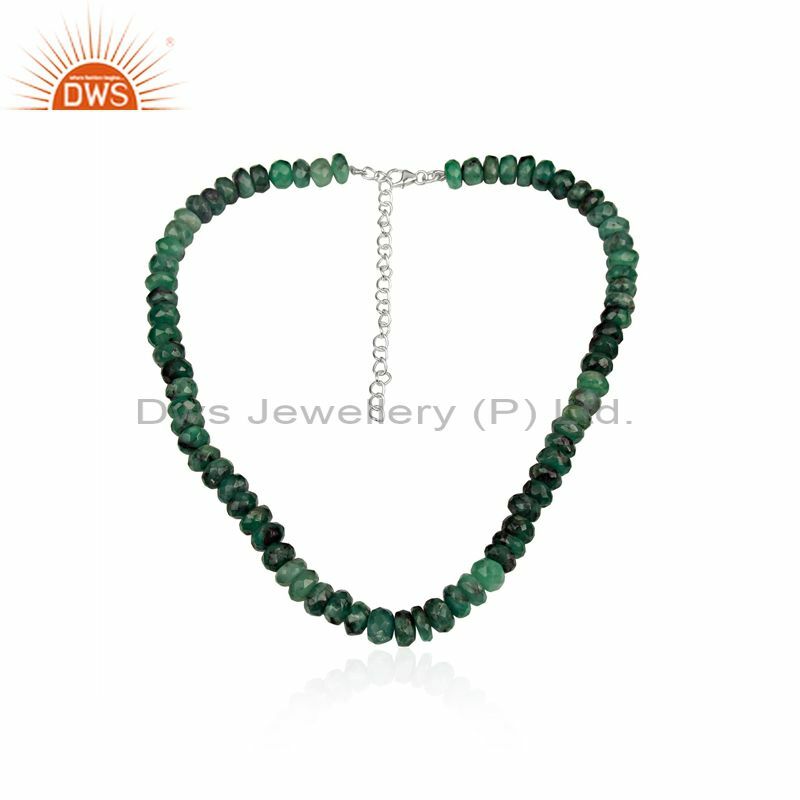 DWS jewellery is one of the leading single stranded pendant and Necklace jewellery shop in Jaipur Rajasthan. We produce a variety of designs for our customers with the help of our designers. 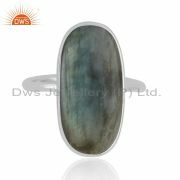 People can also design their own customised design and based upon their instructions we will design and provide the required jewellery for them. 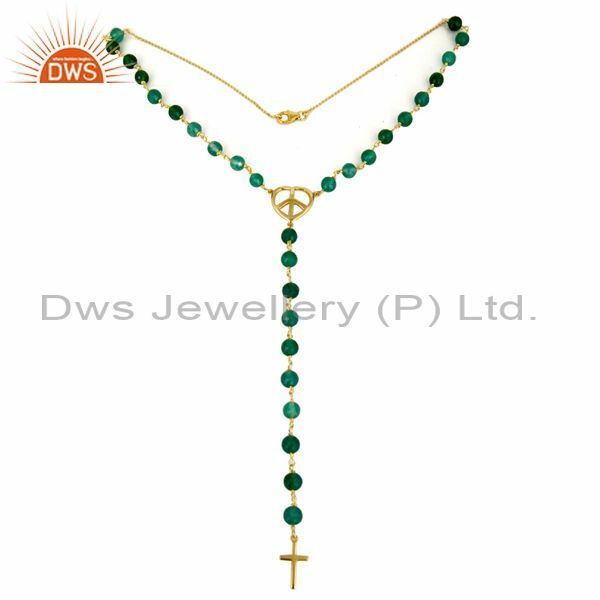 We are one of the leading single stranded pendant and necklace jewellery distributors in the countries. 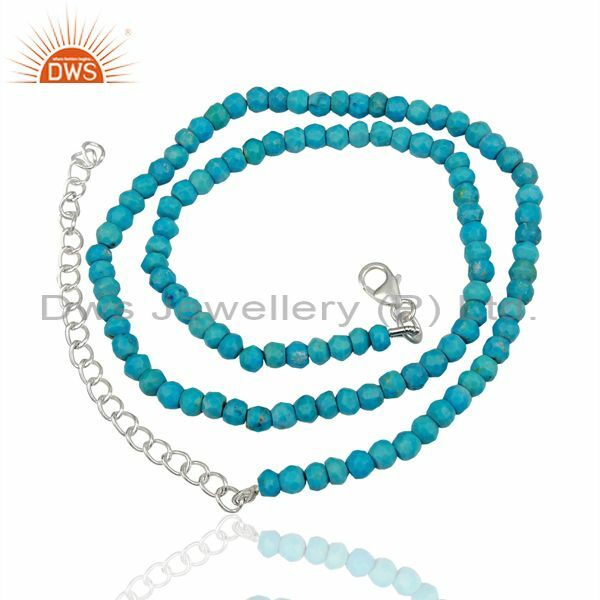 But despite these bulk orders we always provide customised Jewellery items for our customers even if they are a simple form of design and of low cost. Customer satisfaction has and always be our major criteria. 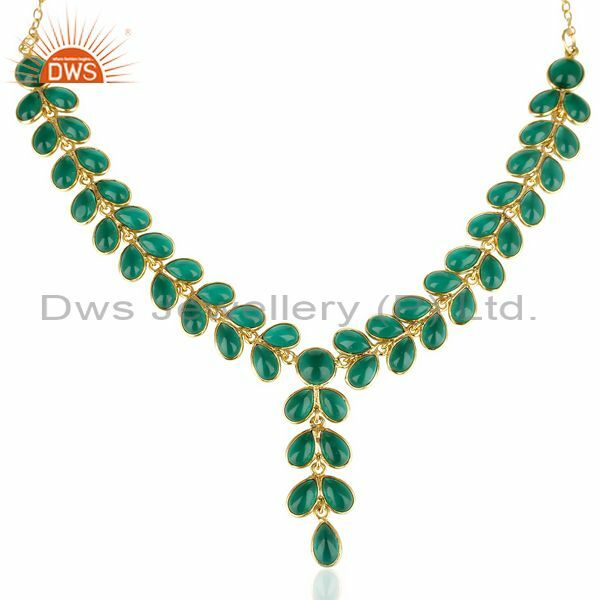 Hence along with the wide range of collections in our single stranded pendant and Necklace jewellery showroom we also provide a customised design for our customers. Along with the manufacturing unit we also have a perfect workshop with skilled employers. The employers have the ability to repair each and every single damage gallery items in such a way that they look more beautiful and original like that ever. With the help of our manufacturing unit, we have always managed to repair these damaged jewellery items. 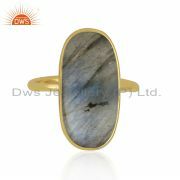 Sometimes a person might lose weight or gain weight making it impossible for them to wear their rings. In our workshop, we offer various multiple services like attaching broken links, grazing and decreasing the size and reducing the length of certain Jewellery items like a chain or bracelets to make them fit perfectly. This jewellery item that has been submitted for damage replacement are being protected safely in our manufacturing unit or workshop. 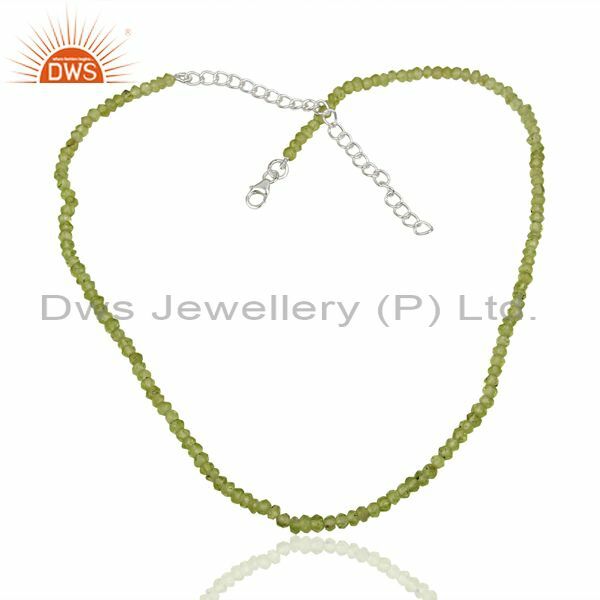 Being one of the leading single-stranded pendants and necklace jewellery supplier we have always managed to provide a perfect set of jewellery repair service for our customers. 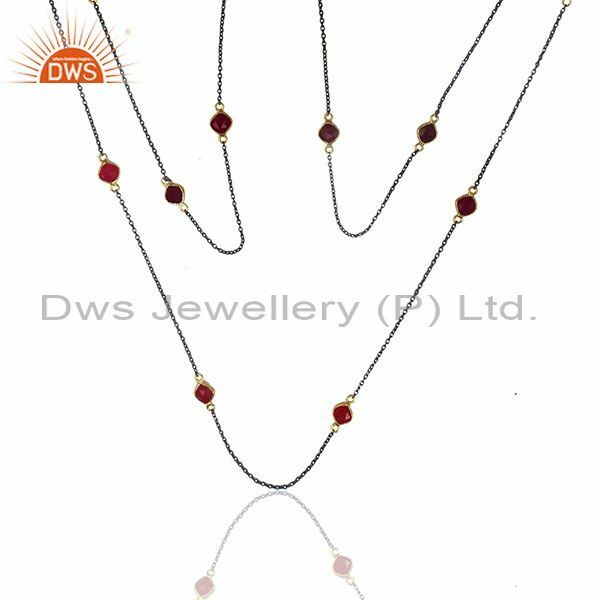 These simple designs available in our single stranded pendant and Necklace jewellery wholesale shop would be a perfect gift for your better half if or any other important payment in your life. 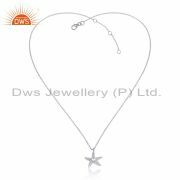 People can choose a beautiful statement simple pendant for the important person in their life. 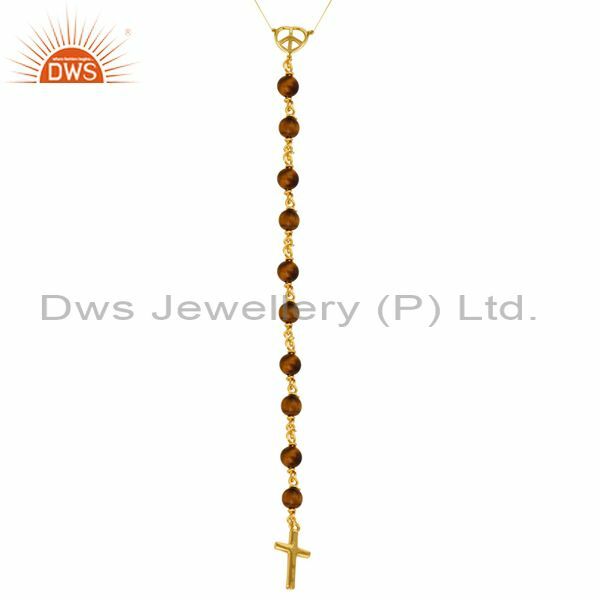 These simple Jewelleries want costume much and at the same time they would make the perfect gift for giving to any person. 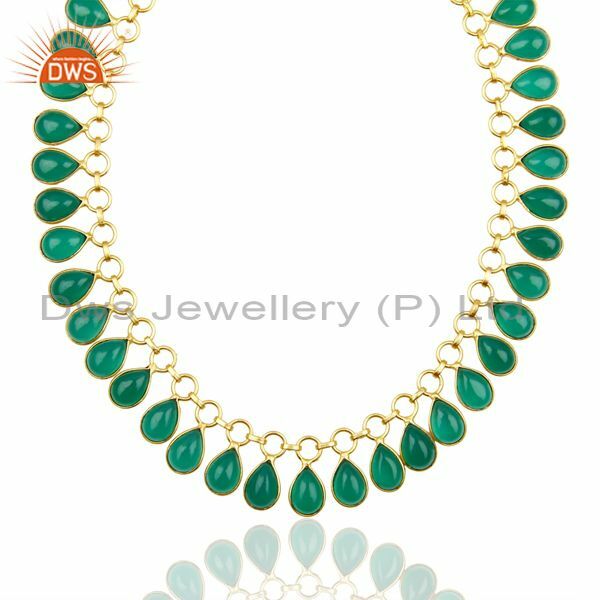 You can either select them from our single standard pendant and Necklace jewellery shop or people can also order these Jewellery items through online website portal of our jewellery shop. Our online website contains a multiple number of designs in each and every single category. Then always choose a design from this collection and order them online. 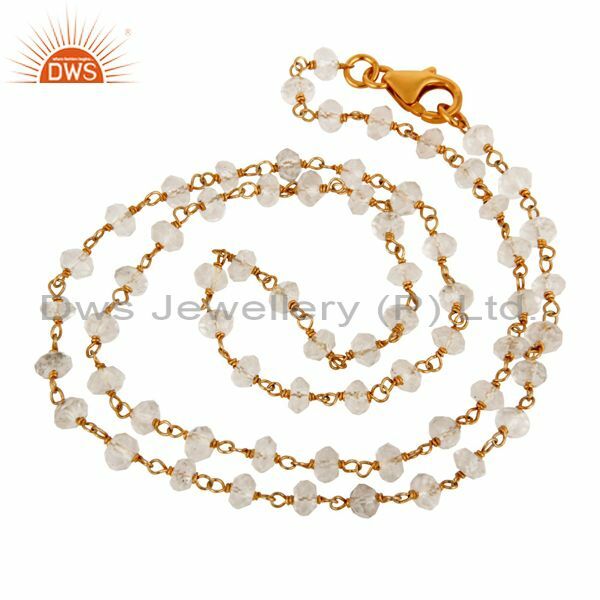 The jewellery item will be delivered in a perfect condition without any damages while delivering. 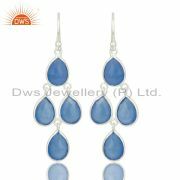 People can also order customised jewellery designs for their special loved ones. Even though there are a wide variety of designs a person will always feel much better when they select the design or create their own design for their lovable person. With the help of the designers, people can always design a set of Jewellery items that can be easily manufactured and delivered on time. 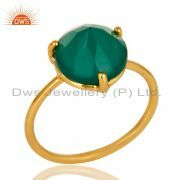 So anyone who has decided to purchase a piece of fashion jewellery can visit us at our shop in Jaipur or through our online website portal at www.dwsjewellery.com.